You are at:Home»Lifestyle»Travel & Tourism»All Ireland Wife Carrying Championships, Are You Strong Enough? All Ireland Wife Carrying Championships, Are You Strong Enough? The phenomenon that is the All Ireland Wife Carrying Championships is now open for entry for all those couples who think their relationship can stand the test of a gruelling assault course at the world renowned Dalriada Festival. 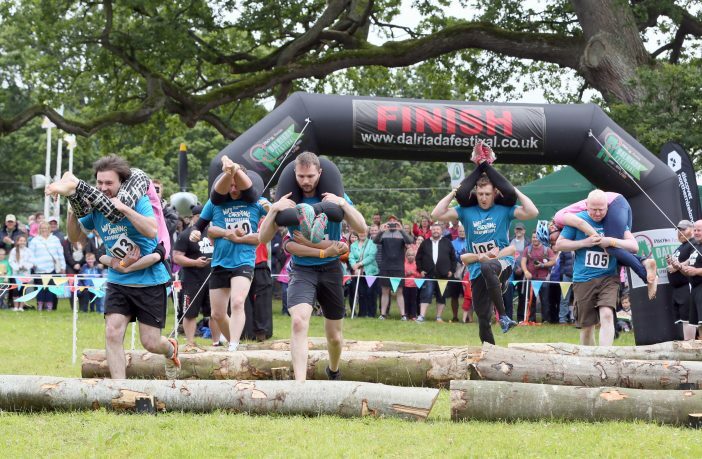 Heralding back to the days of the Vikings, when wife carrying was a way of protecting your wife from the ensuing enemy, the All Ireland Wife Carrying Championships were introduced to the Dalriada Festival last year. Such was the competitiveness and success of the race that the organisers have decided to open entries for the 2018 championships in advance of the two day family festival which runs at Glenarm Castle on Saturday 14 and Sunday 15 July. It’s not for the fainthearted, competitors enter at their own risk and registration is free. Helmets must be worn and competitors who drop their wives will be penalised! Any one of the many recognised holds will be accepted including bridal carry, piggy back, shoulder ride, fireman’s carry or wives can hang upside down on their partner’s back with their legs crossed in front of their face! Anything goes really to get you over the finish line! Winners of the competition will be jetting off on a holiday to Venice sponsored by NFU Mutual Ballyclare and Larne. 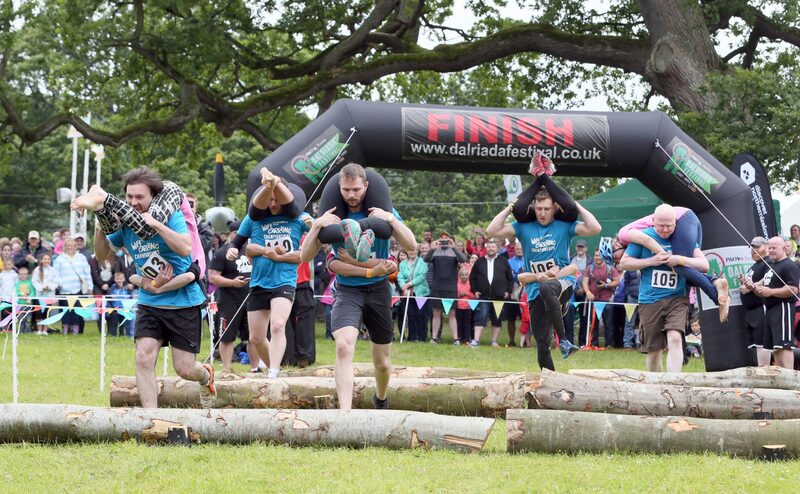 Adrian Morrow, Managing Director, Glenarm Castle, said: “Adding the wife carrying championships to our already packed schedule of fun filled activities at the Dalriada Festival has added a new dimension to audience participation. It’s a thrilling run with an element of risk and we think that’s why it’s so popular among festival goers. 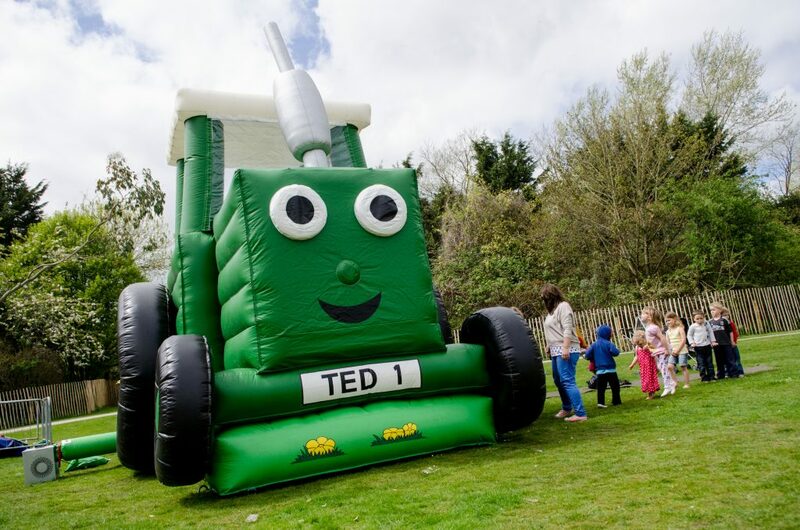 Tractor Ted makes his Northern Ireland debut when he visits Dalriada Festival at Glenarm Castle on 14 and 15 July. As well as the wife carrying championships, fitness fans will be treated to the first fitness racing championships to take place at Glenarm Castle with participants from Ulster, Munster, Leinster and Connaught, and the official PJ Masks, Catboy and Owlette, will be making appearances as will the official Tractor Ted, who will be bringing his Real Life Farm to the event. The Co Antrim pipe band championships will provide the musical entertainment on Saturday afternoon before a host of globally recognised artists take to the 3,500 seater main stage as dusk settles. Performers include an eclectic mix of homegrown and international talent; Alabama 3, Hermitage Green, Matt Cardle, General Fiasco, Gareth Dunlop, The Electric Swing Circus, Runabay, Dana Masters, Ben Glover and Ryan McMullan. Daily, weekend and camping tickets are available to buy online at www.dalriadafestival.co.uk. To enter the All Ireland Wife Carrying Championships, visit here or tel +442884 1023.